What’s Christmas without taking about red lips? 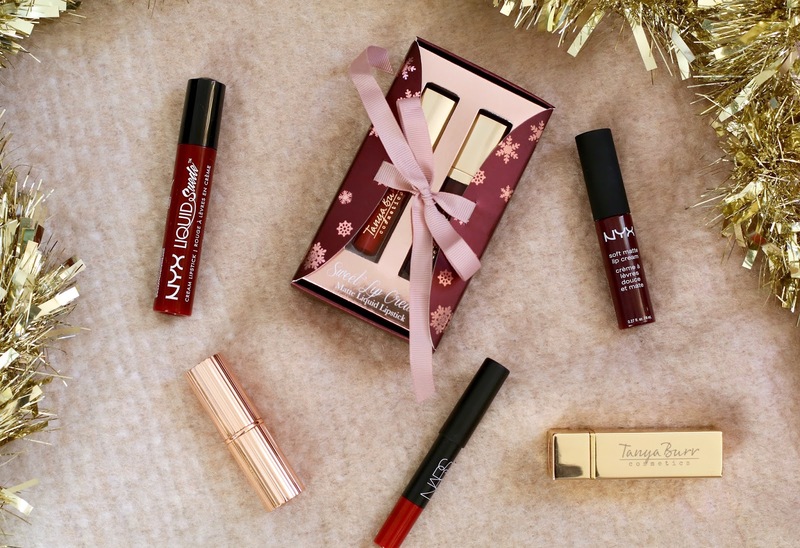 Is there any other beauty trend that’s more festive than a red lip? Nah, red lips for the win! 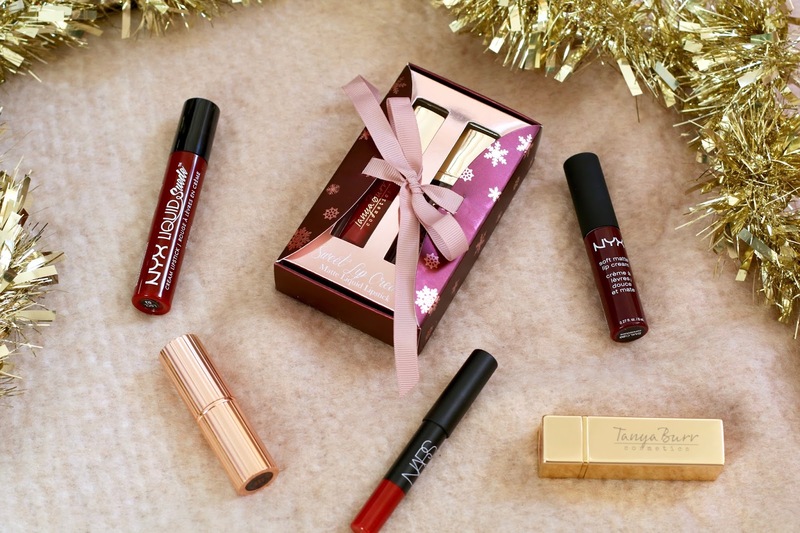 When I originally started this post I wanted to include some of my favourite red lip shades for Christmas, incorporating luxury and drugstore. However I had a different intention on how to present them. I originally wanted to take photos of me wearing each shade and show you how they look. But after taking all the photos I realised that four of shades were so similar it was very hard to tell the difference between them. The only way I could tell them apart was from their finish – two were matte, one was semi-matte, and the other was glossy. 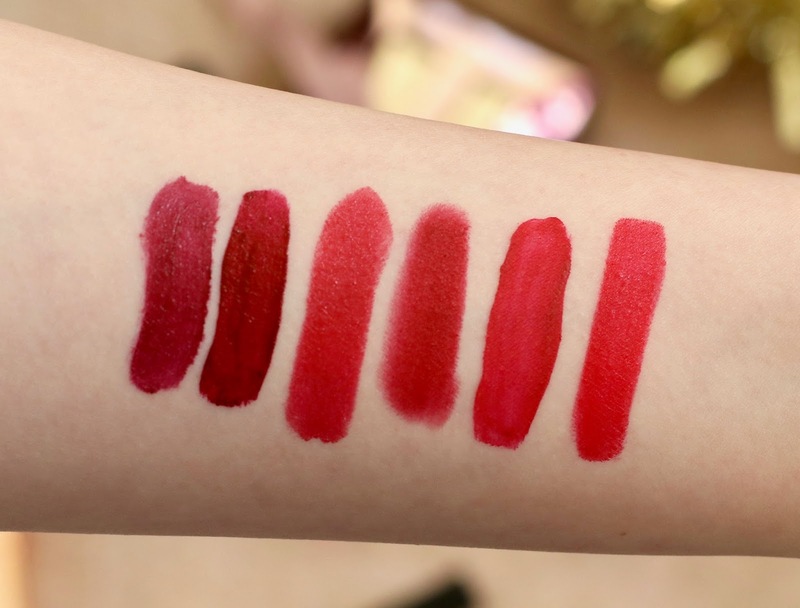 So instead of including the images of all the different reds on my lips and not bring able to see any difference what so ever, I decided to include swatches on my arm so you can see them all together and see what I mean. Plus, it gives you an idea of potential dupes for those with a higher price tag. Yeah I know, I spoil you haha! L-R: NYX soft matte lip cream in Copenhagen, NYX Liquid Suede Cream Lipstick in Cherry Skies, Tanya Burr Cosmetics lipstick in Big Kiss, Nars Velvet Matte Lip Pencil in Cruella, Tanya Burr Cosmetics Matte Liquid Lipstick in Santa’s Little Helper, Charlotte Tilbury Matte Revolution in Red Carpet Red. 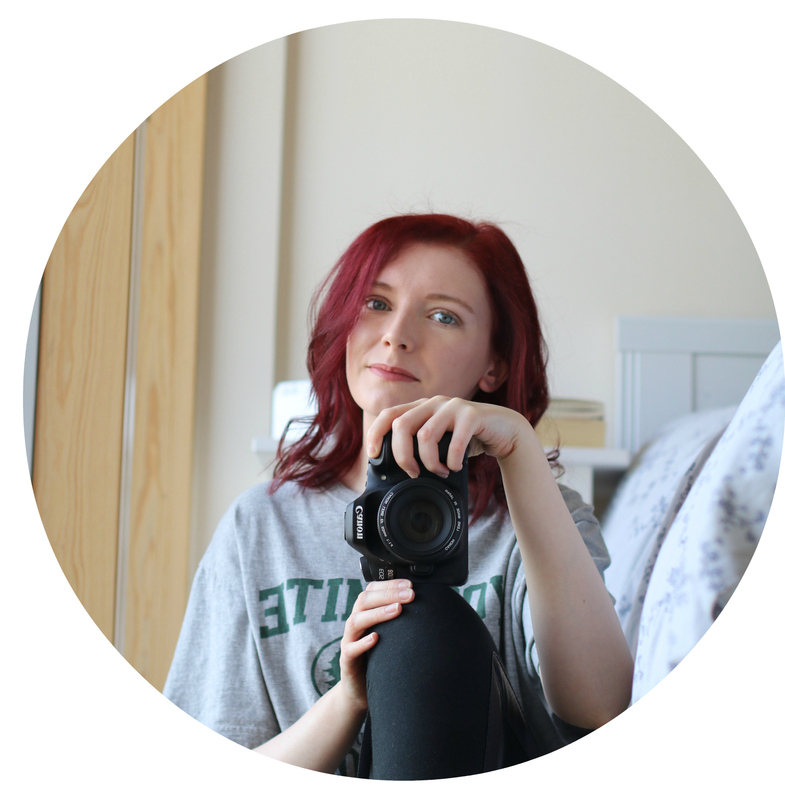 I love all of these lip products – and no I’m not just saying that, they are all great in terms of colour pay off and the mattes not being too drying on my lips. The only thing I will say is that you do have to reapply a bit more with some than with others, but let’s be honest, you usually have to touch up when wearing a red lip if you plan to eat or drink anything throughout the day. Top tip: always wear a red lip liner underneath to prevent bleeding and give you a more defined lip shape. My personal favourite is Mac’s lip pencil in Cherry. Keep up with my other Christmas posts here. Cherry Skies is my favourite – perfect for the winter! It's gorgeous isn't it! Do you have any other favourites?